Dr. Rachael Ross explained that women are always skeptical when they hear about magic mascaras because we’re always trying to achieve the perfect eyelashes. There’s one mascara in particular that claims it can replace your false eyelashes, so The Doctors wanted to put it to the test. They welcomed Kaushal Patel to the show to investigate how well the magic mascara really works. Kaushal Patel has been a television anchor for over ten years and she shared that it gets expensive wearing false eyelashes everyday, but she loves the way her eyes look when she wears them. She said it would be wonderful to find a mascara that could emulate the look false eyelashes give her. 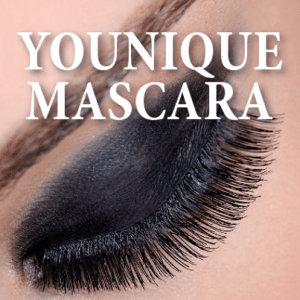 Kaushal showed how the two compared, explaining that she had false eyelashes on her right eye, and used the Younique product on her left eye. They actually looked the same to me, and Dr. Berman explained that the product is $30, and you can achieve 3D lashes in just two minutes. The Doctors then responded to a viewer who asked if she could just remove one moldy piece of lettuce or moldy berry from the bunch and eat the rest. Dr. Travis Stork explained that there could be some discoloration from the oxidation of fruits and vegetables, and that doesn’t mean you have to throw it out. He said there’s a difference between oxidation, which causes the color change, and being truly spoiled. He said there are ways you can preserve the life of your produce, and one of those ways is by using the Berry Breeze, which prevents oxidation and helps prevent bacteria and mold. Dr. Jim Sears said that he’s had one for about a year now and loves it. Dr. Stork said it could keep your food fresh a little longer, and fresh was the word of the day! You can use “fresh” to enter for a chance to win a Berry Breeze on The Doctors website. For The Doctors News in 2:00, The Doctors started by talking about the Ebola virus, saying that after the death of Dallas man Thomas Duncan, mortuary personnel followed strict post-mortem CDC guidelines when handling his body. Because it was still highly infectious, the body was cremated without an autopsy. Hermetically sealed caskets could also be used for Ebola victims according to the CDC. Duncan’s relatives will finish their 21-day quarantine this weekend when they will learn if they’ve contracted the deadly virus. Ebola can only be transmitted via the body fluids of an infected, symptomatic person. Airplane cabin cleaners went on strike last week at the LaGuardia Airport in New York, they revealed many shocking details. They revealed that the cleaning time had been cut from 45 to five minutes. The workers were seeking to unionize and were sharing concerns over the Ebola virus and not using protective gear. AirServ told News in 2:00 that workers were trained in safety procedures for bloodborne pathogens and protocols for Ebola last week. In the 1960s, Monsanto developed AstroTurf fields out of synthetic fibers and scrap tire which can contain benzene, carbon black, and lead. Every day, thousands of kids play on the artificial turf fields, and now NBC is linking the tiny black crumbs of which the field is made with blood cancers like leukemia and lymphoma. A soccer coach noticed the trend among 38 ill soccer players whose bodies who had been in constant contact with the turf. For The Doctor’s Prescription of the Day, Dr. Stork said he knew three things that would make you happier and more satisfied in life: close friends. He shared that people who have at least three close friends at work were 46% more likely to be extremely satisfied with their job. Approximately 88% were likely to be satisfied with life. For those who have a best friend at work, they’re less stressed, enjoyed their job more, and had fewer accidents.